Full time program 9:00am - 4:00pm. 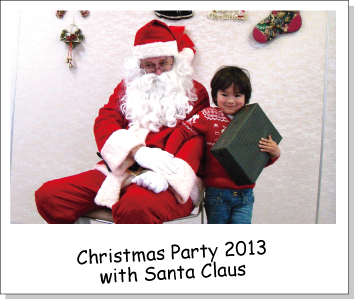 ages 3 - 6 years old. Half day program also available. 3,4,5 days per week option-reasonable tuition. 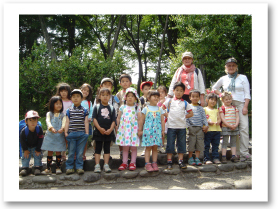 Our program prepares children for international schools. 100% English environment. 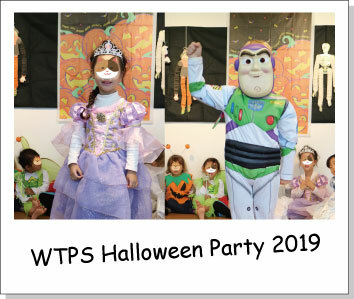 WTPS prepares children to effectively express themselves through verbal and non verbal communication for social and academic purposes. 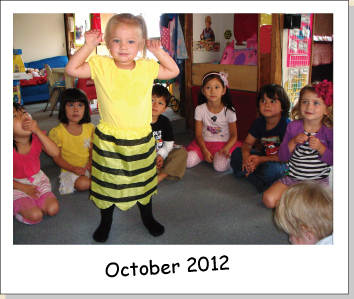 Creative, well organized, safe and effective classroom environment. Qualified kindergarten teacher/ Native English speaker. 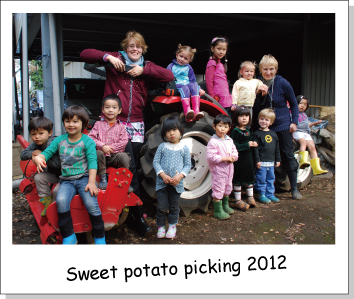 West Tokyo Preschool has been nurturing English in a comprehensive preschool atmosphere for over 46 years. Parent/ teacher conferences are held twice a year. 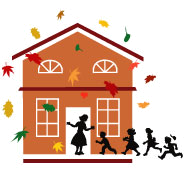 Open House is held every month so parents can observe children’s progress. At the end of the each graduated student will receive a year book. 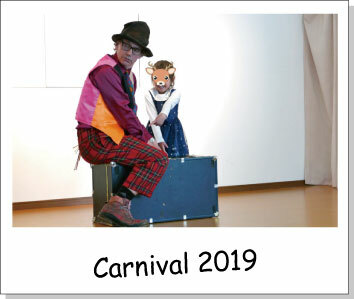 Events include: Halloween and Christmas performances and celebrations, Sweet potato picking, 100 days celebration, Valentines exchange, Easter Egg Hunt/ Earth Day celebration, Excursions to zoo and botanical garden, Carnival and circus, complete with clown visit. 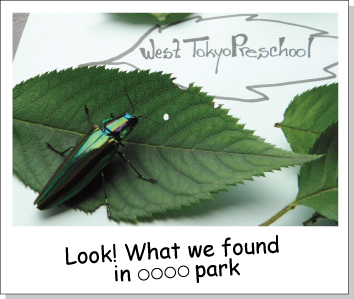 Due to popular demand, West Tokyo Preschool is offering an afternoon program, Starting in September. 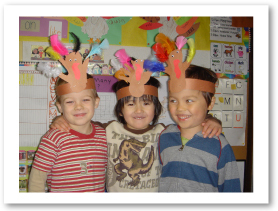 The afternoon program is available for all students. From 3:00pm - 4:00pm. Why is Chinese new year celebrated in February? 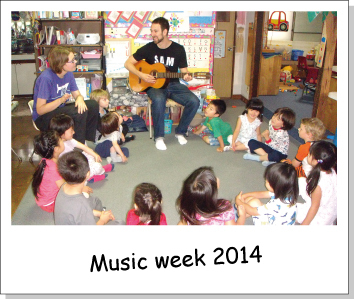 We talked about the calendar in different countries. We had hygiene and dental health week. We talked about healthy habits. Happy Valentine’s Day! We exchanged cards with our friends. 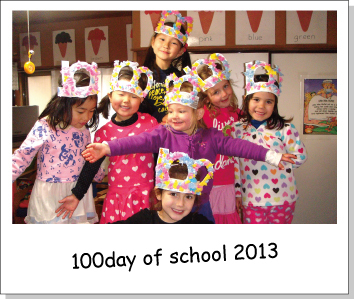 100 Days of school celebration and Pajama Day. 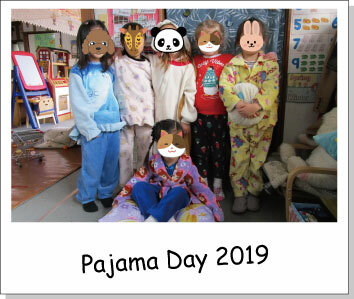 We had so much fun wearing pajamas all day at school. For school year 2019, Spaces are still available. New student registration is available throughout the year. 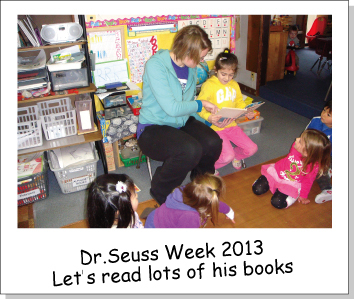 We welcome visitation please call preschool for details. 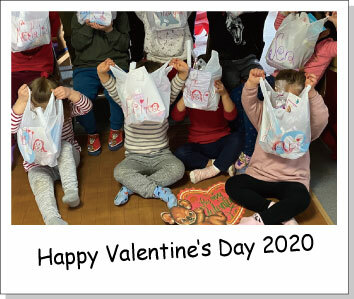 Copyright ©2019 West Tokyo Preschool. All Rights Reserved.